Green Lantern Stables >> News >> Taurine drops a Speightstown colt! Taurine drops a Speightstown colt! 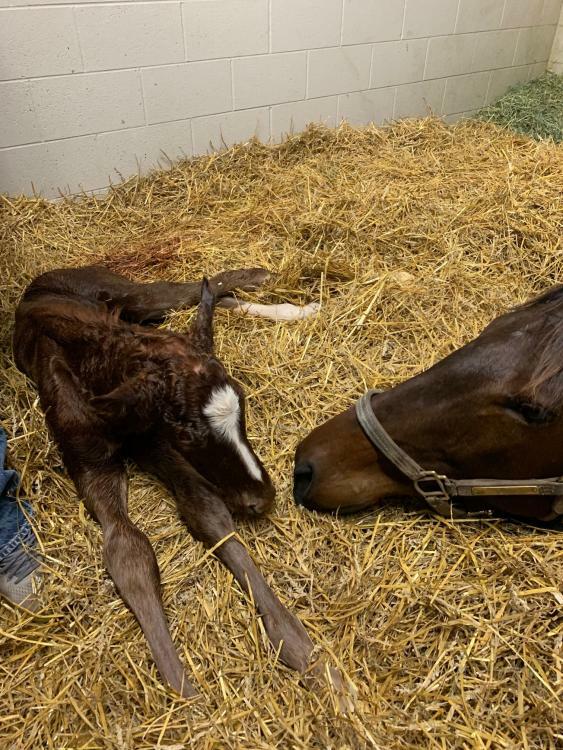 You are here » Home » News » Taurine drops a Speightstown colt! Taurine, the world's most expensive Flatter, delivered a Valentine's Day present to the crew at Green Lantern when she dropped a colt by Speightstown around dinnertime. While she appeared a little confused at the appearance of the foal, she eventually warmed up to the idea and by the time an hour had passed, she was ready to play Mom in a big way. The colt is large for a first foal (just ask Mom), and she is booked to Street Sense in 2019.